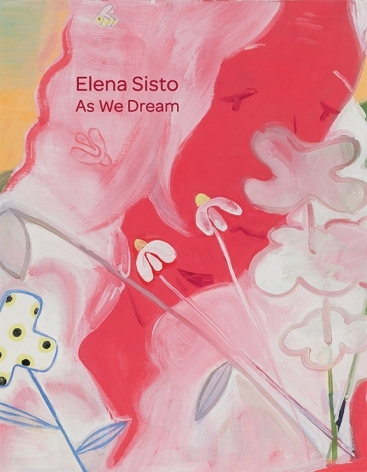 Bookstein Projects is pleased to announce an exhibition of recent paintings by Elena Sisto. This is the artist’s third solo-show with Lori Bookstein and her first with Bookstein Projects. 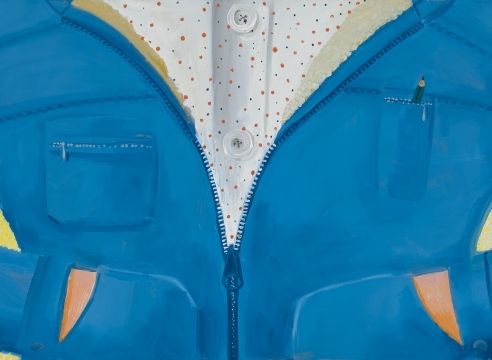 Painted over the last two years, the paintings in this exhibition feature a cast of cartoon-like characters that function as self-portraits of the artist herself. Devoid of naturalistic colors, the faces of the subject are painted in a highly-keyed palette that includes coral, jade green, indigo and even violet. These faces appear at once both earnest and other-worldly as they poke through billowing, cloud-like masses of silver hair. In some instances, such as in Spirited Away, the hair envelops the entirety of the composition, isolating the figure’s green face from any discernible sense of place. Indeed, the artist’s hair becomes the focal point of a number of these paintings and acts as a signifier of both gender and age, as well as the self-assuredness that comes with both. 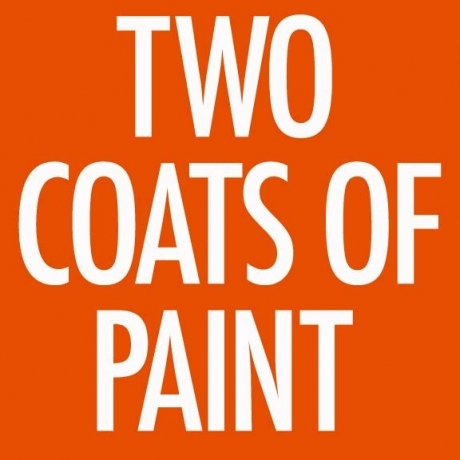 The titles of a majority of the paintings take their names from popular culture. Vagabond (for Agnès Varda) is an homage to the famous French director’s 1985 drama by the same name. Rapunella is a portmanteau of Rapunzel and Cinderella, the popular children’s fairytales. Taken as a whole, the titles suggest a land of alternate reality, or one so removed as to forgo any direct reference to the observed world. Flowers are articulated in fabric-like pattern of polka dots. The sky, when visible, is striated in bands of unblended, albeit prismatic color – sherbet orange, turquoise blue and a deep cobalt. Even buildings, stripped down to their most basic rectangular forms, seem like metonymy for New York City. These are paintings that elicit connotations of place and age and yet they resist any clear categorization. This exhibition will be accompanied by a catalogue with an essay by Nancy Princenthal. Elena Sisto (b. 1952) splits her time between New York, NY and Rhinebeck, NY. She received her BA from Brown University and studied at the New York Studio School. She has had solo museum shows at the Maier Museum, the Greenville County Museum, the Katzen Museum and the Miami Dade Museum of Art + Design. Sisto was included in the 43rd Corcoran Biennial and groups shows at the Wexner Center, the Weatherspoon Gallery, the Krannert Art Center, the Hunterdon Museum, the Newark Museum, UCLA Wight Gallery and the Katonah Museum. She's the recipient of numerous awards and fellowships including the John Simon Guggenheim Memorial Foundation Fellowship, the Inglis Griswold Nelson Prize from the National Academy Museum and School, the George Rickey Foundation Grant and has been a fellow at the Fine Arts Work Center, Yaddo and the Millay Colony. Elena Sisto: As We Dream will be on view from September 12 – October 27, 2018. A reception will be held on Wednesday, September 12th from 6:00-8:00pm. Gallery hours are Tuesday through Saturday, 11:00 am to 6:00 pm. For additional information and/or visual materials, please contact the gallery at (212) 750-0949 or by email at info@booksteinprojects.com.